The 2015 Rebel Stakes 2015 is a Springboard for Future Stars: The hype of the meeting between the 2014 Champion Two-Year-Old Filly and Champion Two-Year-Old Colt is now doused by the defection of Take Charge Brandi due to a knee chip, according to trainer D. Wayne Lukas. However, the Rebel Stakes (G2) has been a very strong prep race for sophomore males to springboard towards an excellent career. While only two Kentucky Derby winners have won the Rebel before their Run for the Roses, multiple horses have won the Preakness and/or the Belmont. 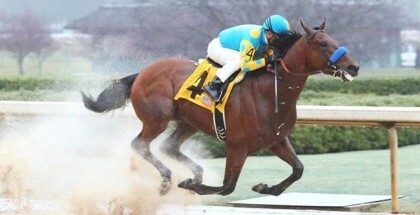 While the expected matchup of American Pharoah (pictured above) and Take Charge Brandi has now been thrown to the wayside, horses such as Bold Conquest, The Truth or Else, and Hillbilly Royalty, all of whom finished behind Far Right in the Southwest Stakes, seem to be the champion’s biggest threats in the 2015 Rebel Stakes at Oaklawn Park. Inaugurated in 1961, the first horse to achieve the Rebel-Kentucky Derby double was Sunny’s Halo in 1983. The son of mean-spirited Halo won the Arkansas Derby before his Kentucky Derby and eventually went on to win the Super Derby as well. Sunny’s Halo was a durable horse, starting 11 times as a juvenile and 9 times as a sophomore. One of the best horses to ever win the Rebel Stakes was Temperance Hill who won the race in 1980. Temperance Hill won the Arkansas Derby before skipping the Kentucky Derby and Preakness Stakes. Instead, the son of Stop the Music ran in the Withers Stakes (G2), the listed Pennsylvania Derby, and an allowance race, none of which he won. Returning in the Belmont Stakes, Temperance Hill defeated Kentucky Derby winner Genuine Risk (2nd) and the post-time favorite Codex (7th). 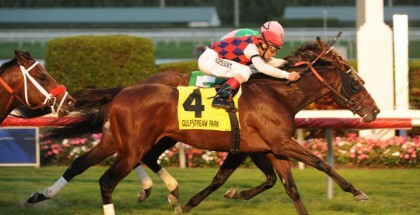 The colt then went on to win the Travers, Jockey Club Gold Cup, and Super Derby. Temperance Hill was a dud in his second career as a stallion that ended in 2003 in Thailand. The Rebel Stakes was a huge stepping-stone for Triple Crown spoiler Victory Gallop who denied Real Quiet the 1998 Triple Crown. Victory Gallop won the Rebel and Arkansas Derby before finishing second to Real Quiet in the Kentucky Derby and the Preakness Stakes. The son of Cryptoclearance was denied the Triple Crown by a desperate nose, resulting in a photo finish in which tears were shed at the resulting outcome. Victory Gallop went on to finish second in the Haskell and the Travers, both times to Coronado’s Quest. At age four, Victory Gallop won an allowance and finished third in the Dubai World Cup before moving on to win the Stephen Foster and Whitney Handicap. These wins were enough to warrant an Eclipse Award in 1999 as Champion Older Male. In the 2000s, horses such as Smarty Jones, Lawyer Ron, Curlin, Lookin at Lucky, Secret Circle, Will Take Charge, and Hoppertunity have won the Rebel Stakes. Smarty Jones, Curlin, and Lookin at Lucky all went on to win the Preakness Stakes with Smarty Jones being the only one to win the Kentucky Derby after using the Rebel as a prep race. Curlin is likely the most accomplished horse in the last ten years of the race. Curlin went on to finish third in the Kentucky Derby behind Super Saver and Hard Spun before returning to fire in the Preakness Stakes. Curlin was denied in the Belmont Stakes after a hard-fought stretch duel with the filly Rags to Riches who prevailed in the late stretch to win. Curlin went on to win the Jockey Club Gold Cup and the Breeders’ Cup Classic that year, earning him Eclipse Awards for Horse of the Year and Champion Three-Year-Old. Starting his four-year-old year in 2008 by shipping to Dubai and winning a handicap and then the Dubai World Cup, Curlin was off to another Horse of the Year title. He followed up those wins with victories in the Stephen Foster, the Woodward, and the Jockey Club Gold Cup for a second time. Despite a fourth-place finish in the Breeders’ Cup Classic in 2008, Curlin was still voted Horse of the Year and Champion Older Male. Curlin resides at Lane’s End Farm where he commands a stud fee of $35,000. He was inducted into the Racing Hall of Fame in 2014. 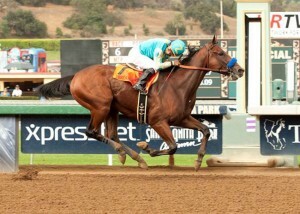 Horses winning the Rebel and becoming threats on both the Triple Crown trail and later on in their careers is not news. Horses like Curlin don’t come along every day, but when they do, early realization of their talent is always preferred. While the expected matchup of American Pharoah and Take Charge Brandi has now been thrown to the wayside, horses such as Bold Conquest, The Truth or Else, and Hillbilly Royalty, all of whom finished behind Far Right in the Southwest Stakes, seem to be the champion’s biggest threats. Far Right is skipping the Rebel and will likely train into the Arkansas Derby before a possible start in the 2015 Kentucky Derby. 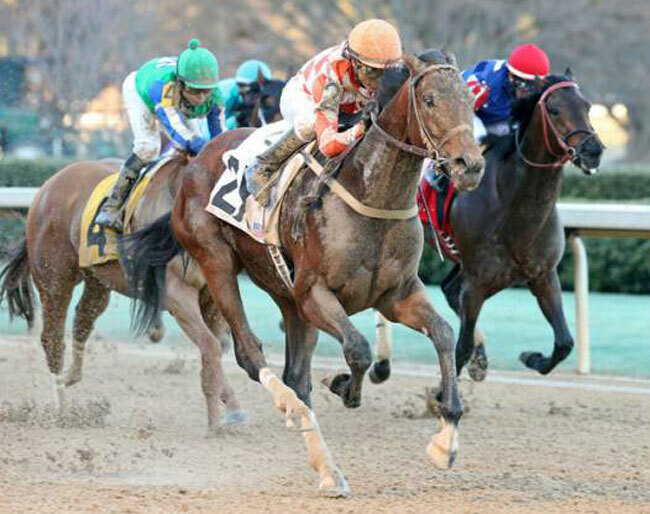 The Rebel Stakes is set to go off at Oaklawn Park on Saturday, March 14, 2015.